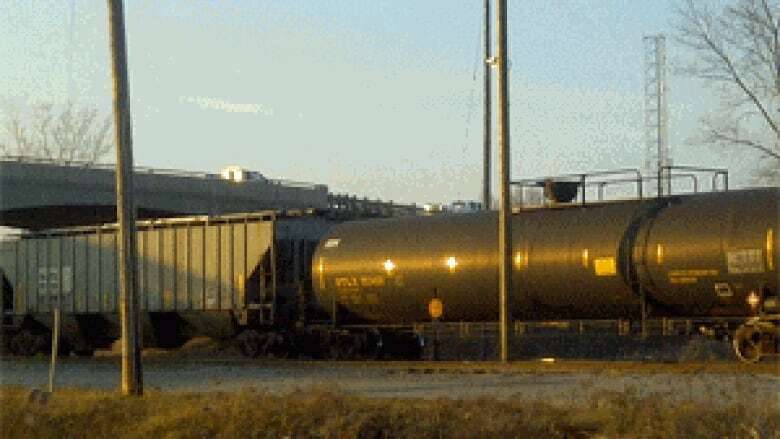 A CBC News investigation has uncovered a cross-border mystery involving unexplained shipments of biodiesel tanker cars that were sent back and forth numerous times by CN Rail between Canada and the U.S. but were never unloaded. According to leaked internal CN documents, the rail company stood to make $2.6 million for the effort. "CN received shipping directions from the customer, which, under law, it has an obligation to meet," CN Rail spokesman Mark Hallman said last week. "CN discharged its obligations with respect to those movements in strict compliance with its obligations as a common carrier, and was compensated accordingly." When asked whether CN wasn’t helping to do something strange, Hallman responded: "CN met its obligations as a common carrier and we have no further comment." CN employees, although guarded, were more candid. "In 25 years, I’d never done anything like it," one railway worker told CBC News on the condition he not be named for fear he might be fired. "The clerk told me it was some kind of money grab. We just did what we were told." It all took place between June 15 and 28, 2010. According to internal CN records, Train 503 shipped the biodiesel to Port Huron, Mich., from Sarnia, Ont. ; Train 504 brought them back. The number of cars on the train would remain mostly the same, but cars were added and removed, between 68 and 89 cars at a time. As soon as the paperwork and car shuffling was completed, the trains made the return trip. 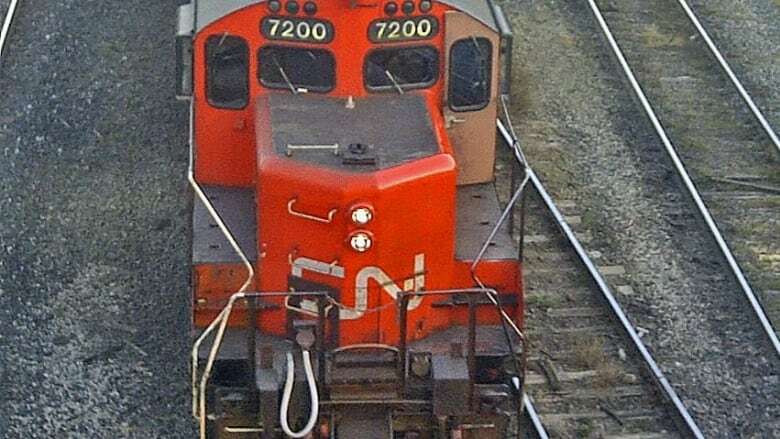 "This unit train will move at least once daily to Port Huron starting on Tuesday, June 18," said an email written by Teresa Edwards, CN’s manager of transportation for Port Huron/Sarnia. It will "clear customs and return to Sarnia. If we can get in more flips back and forth we will attempt to do so. Each move per car across the border is revenue generated for Sarnia/Port Huron. "It will be the same cars flipping back and forth and the product will stay on the car." The email ends with a reminder that the move "has the potential to make a lot of money for CN so need everyone’s assistance to maximize the number of trips that we make and ensure that it all moves smooth." Edwards did not return calls to CBC. CN internal documents obtained by CBC News show that the company had agreed to flip the shipments back and forth across the border using its rail lines and tunnels 24 times without unloading any cargo. This garnered CN $2.6 million. The U.S. biodiesel companies listed as customers were HeroBX and Northern Biodiesel. Northern Biodiesel did not answer calls, and it is unclear whether it is still operating as a business. CBC News called HeroBX repeatedly, but it has refused to respond. CN records say the Canadian company that arranged the deal is Bioversel Trading Inc., which is being investigated by the Canada Border Services Agency on allegations it made false statements to avoid duties in shipping biodiesel to Romania and Italy. Bioversel Trading Inc. is part of the Bioversel family of companies that share offices and officers with Einer Canada. The CBC interviewed Einer Canada’s Arie Mazur, who made a lengthy defence of Bioversel Trading’s fight with the European Union’s Anti-Fraud office, and maintained the company has not broken any Canadian laws. On the matter of the Sarnia-Port Huron mystery train, Mazur offered some theories, but was advised by his lawyer, who was present during the interview, to research it and get back to the CBC. The lawyer, Nicholas Karnis, sent an email to the CBC suggesting the corporation was being used "to support a witch hunt perpetrated by our business competitors," and declined to comment further about the mystery train. On Friday, the CBC contacted Iulian Cirlan, whose name appeared on the CN documents as a Bioversel employee. He said he did some contract work for Bioversel, and had been working there a month when he was told to handle the logistics for Train 503 and 504. He said the biodiesel came from several companies, and railcars from Buffalo and Winnipeg were added to the train. "My job is not to ask what and why," said Cirlan, whose job involved supervising the movements, and paying the terminals and the trucking companies. "If you ask me to move product 100 times, I’d be glad to help." The Bioversel fight against the CBSA’s search warrant of its Bloor Street offices in Toronto on May 30, 2012, was heard in court Wednesday in Quebec City. Court documents show European authorities had contacted the CBSA alleging Bioversel and another company mislabelled their merchandise and its origin. Officials are now investigating claims the companies were routing American-made biodiesel through Canada and falsifying its origin to avoid paying tens of millions of dollars in European anti-dumping duties. The company denied the allegations in Quebec City, and is attempting to quash the warrants. Bioversel's lawyers accused CBSA officials of abusing their powers and executing the search on behalf of the European Anti-Fraud Office, saying the company has not broken any Canadian laws. The matter has been adjourned pending further deliberation. The company has refused to explain why it paid CN to haul the same train shipment back and forth between Canada and the U.S.
Customs officials on both sides of the border declined to comment on the mystery, since the Toronto company is under investigation. Natural Resources Canada, which runs a $1.5-billion biodiesel incentive program, was contacted numerous times by the CBC, and it has said it will look into the matter.